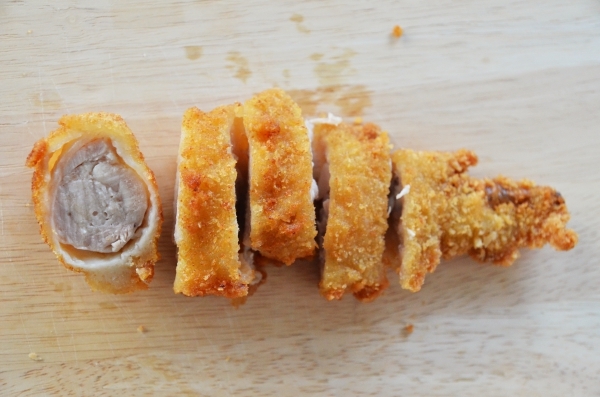 What’s better than a platter of crunchy, greasy, deep fried goodness fresh and piping hot from the wok? 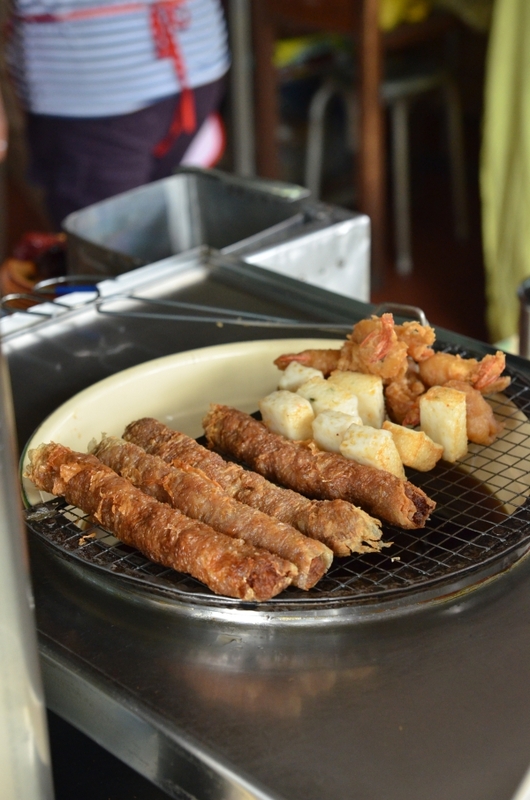 Pictured above are what we called “Lor Bak” or Ngoh Hiang (5 spices), the spiced pork rolls wrapped in beancurd sheets, but the term has been used to cover the entire range of fritters served with two sauces; one being a garlicky chili sauce and another being a starchy ‘lor’ or dark soy sauce with egg white ribbons. I felt apologetic and compelled to write a note in between the days where Motormouth has seemingly vanished into thin air. Without a warning (although you might take this as a prelude to the Houdini act), a new blog post, or even a proper farewell (no, contrary to what some might speculate, I am NOT closing this site down), the hiatus seemed unforgivable to an extent where even I started to be drenched in guilt and pushed myself to write at least a paragraph or two. But to no avail. The incredible (mis)adventures for the past few weeks rendered me helpless. Since the last post on Beach Road’s Scissor cut Curry Rice in Singapore, I have traveled to Hong Kong twice; caught in a typhoon warning level T8 (where everyone went into hibernation mode and malls closed down) and got my flight rescheduled to the next day, Singapore for almost a week (until yesterday) and the rest of the time spent in a somewhat dormant mode in Kuala Lumpur. Oh and along the way, my trusty Nikon D7000 went into a tantrum (‘merajuk known…‘) with the focusing issue, everyone celebrated Raya (I deserve to be shot for missing the formality of an annual Selamat Hari Raya greeting to all Muslim readers), and well, the Malaysian political headlines getting jammed with conspiracy theories. Due to a delay in working visa approval, I was floating around like a nomad, well, the optimistic side of me sees this as a chance to recuperate from the successive job environment changes since my government days in 2010 (read this overly-emotional post on Stripped down Monday), where I barely had any breaks in between. 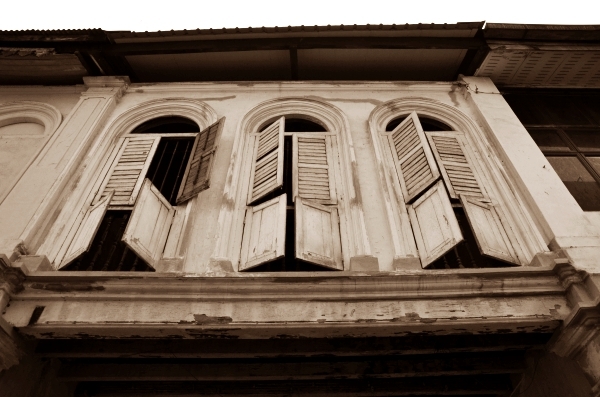 Today, this super-charged Friday where I am still in Kuala Lumpur (surprise, surprise) until the final move this Sunday to Hong Kong, let me share some older photographs I stashed away in my archive; of my beloved Ipoh – the Old Town Walk. 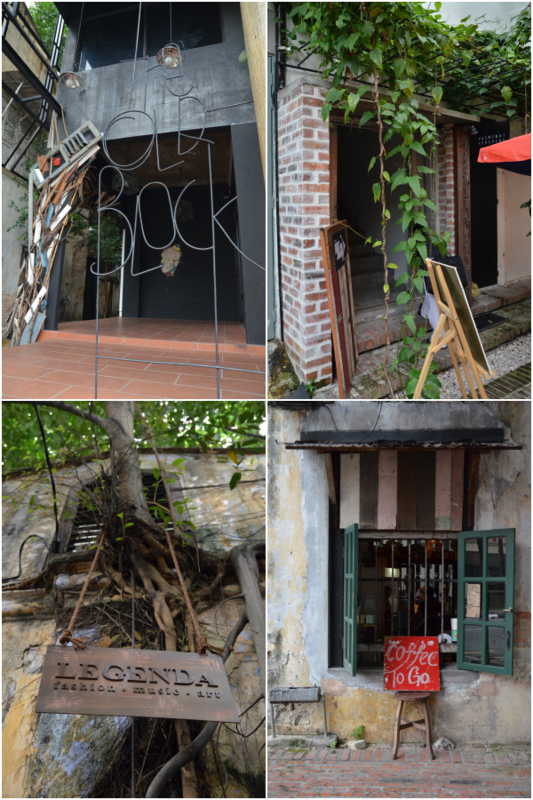 If you have not visited the area around Ipoh Kong Heng – Plan b – Burps & Giggles, then you should. 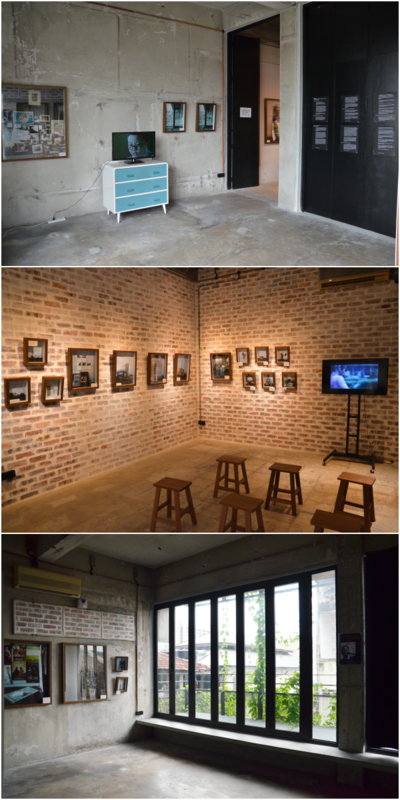 The surroundings exude a hip, retro aura championing the existing structures and enhancing the aged, sepia-tone looks of the predominantly brick walls lending an air of coolness to the vicinity. 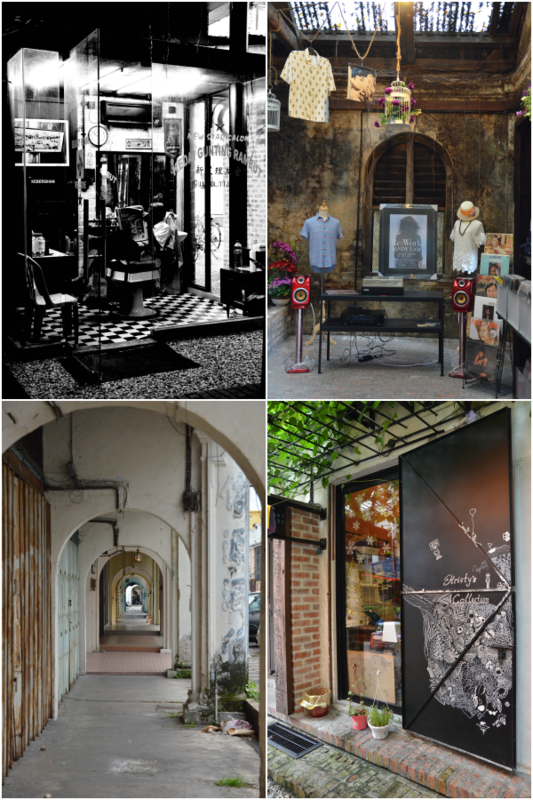 This walk around my favourite part of Ipoh city – the classic old town heritage trail (not a certified UNESCO site yet, but let’s keep our fingers crossed) has been one of the most comforting and nurturing (to the stomach and the soul) activities that one can engage in Ipoh, especially when you have time to spare in between meals. 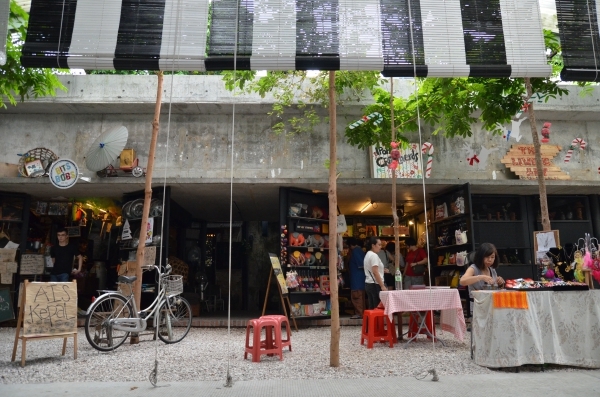 The fact that there are more than enough selection of eateries within walking distance from one another makes this walk even more fruitful – you can almost imagine spending hours here idling away at those hip, retrofitted cafes with mismatched colours, ornaments and elements to create a space fit for the young more than the old, but still relevant and a perfect backdrop for Instagram loving junkies. 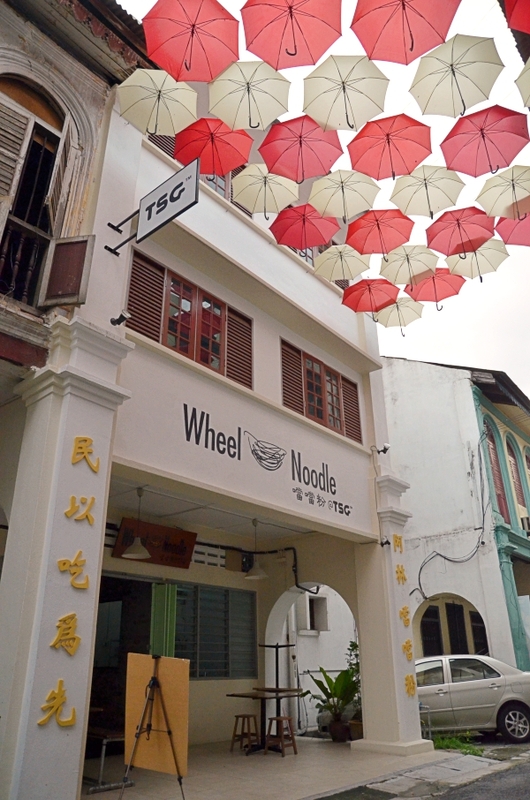 Although for one, I have not stepped into The Wheel Noodles by TSG (of the The Secret Garden group), but this quieter side of old town (the lane named Jalan Market is directly opposite of Nam Chau; my favourite place for dry curry noodles in Ipoh. The recent marathon of traveling, possibly the last lap this year, had somewhat taken a toll on me. The early morning flights, the rescheduling, the packing/unpacking and preparation, coupled with the need to get up to speed with work and late nights culminated in sheer exhaustion. I started this post sometime a week ago and I could barely forced myself to keep the spirits up. Let alone write. Now that my working visa is approved in Hong Kong, the frequent commuting between Kuala Lumpur – Ipoh – Singapore – Hong Kong completed (at least for the next month), I can focus on the final transfer, tidying up loose ends with logistics and such, plus sneaking in a food hunt or two within these two days. Oh talking about FOOD, although I did not manage to lug my DSLR around for the Hong Kong trips, I had a few noteworthy meals; at Lei Garden for their excellent rice crisps in lobster bisque, crispy roasted pork and other Cantonese delights, steamed milk pudding at Yee Shun, a delicious sweet and sour pork and salted fish pork patties from this Chinese restaurant at Tai Hang, random char chaan teng breakfast/lunch/dinner including the love-hate relationships the locals had with Tsui Wah, Tai Cheong’s melt-in-mouth egg tarts, uncountable cups of thick, Hong Kong style milk tea (almost felt like a continuous infusion!) and wanton noodles from Ho Hung Kee; the one Michelin star restaurant established since 1946. Not only in Hong Kong, I had a fair share of delectable treats even in Singapore; another dinner at Lei Garden @ Chjimes (near Raffles City Mall) where we had the pot of ‘lap mei fan’; rice cooked with superior soy sauce and a mix of waxed sausages and meat imported from Hong Kong. Then the black pepper crab/chili crab at Long Beach @ Dempsey Hill managed to impress us again, while the coffee and breads at Tiong Bahru Bakery pacified and provided us with a short respite from the scorching weather. In Kuala Lumpur meanwhile, Basil Pasta House in Kuchai Lama served a really delicious soft shell crab pasta cooked in Singapore chili crab paste. And the wanton mee with char siew and BBQ lamb from Cao Cao (MYR19 now!) 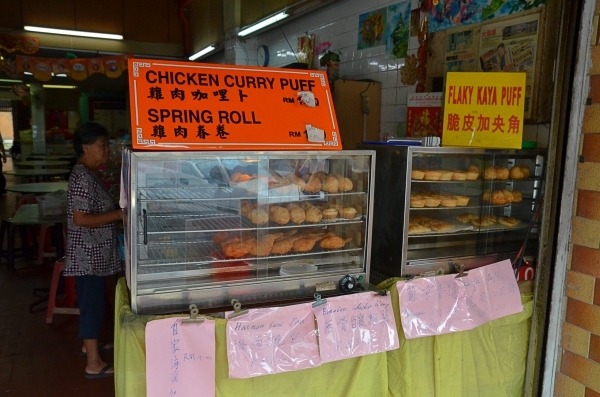 at the hawker stalls along Jalan Kuchai Lama, off Old Klang Road brought back memories from the earlier days of blogging; about 7 years back! 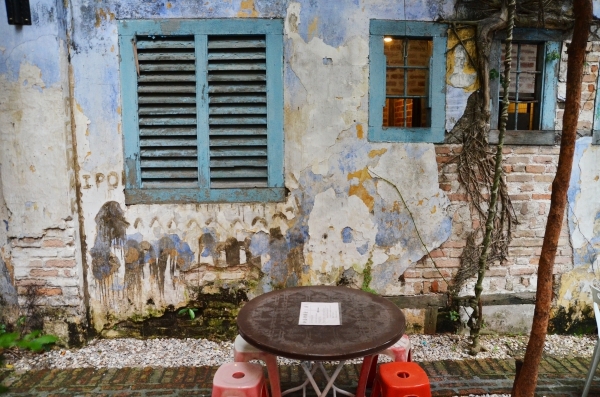 Although i could not schedule for a homecoming visit to Ipoh, one last time before leaving for Hong Kong, I would still love to share these shots of smaller hawker eats, charming architectures, quaint surroundings, nooks and crannies with you readers. Hoping that you will share the same sentiments with me; appreciating the simpler side of life in Ipoh where people gathered not for riots or demonstrations but for a hearty breakfast in kopitiam, where road bullies don’t exist and traffic congestion is one we used to coin for journeys beyond 30 minutes, and hawker stalls featuring original cooks whipping up their specialties passionately instead of foreign workers churning out bowls of ‘soulless’ noodles. Hate to stand under the hot weather, fight for a table or plain stuffed to the level of your oesophagus but still craving for a taste of snacks? 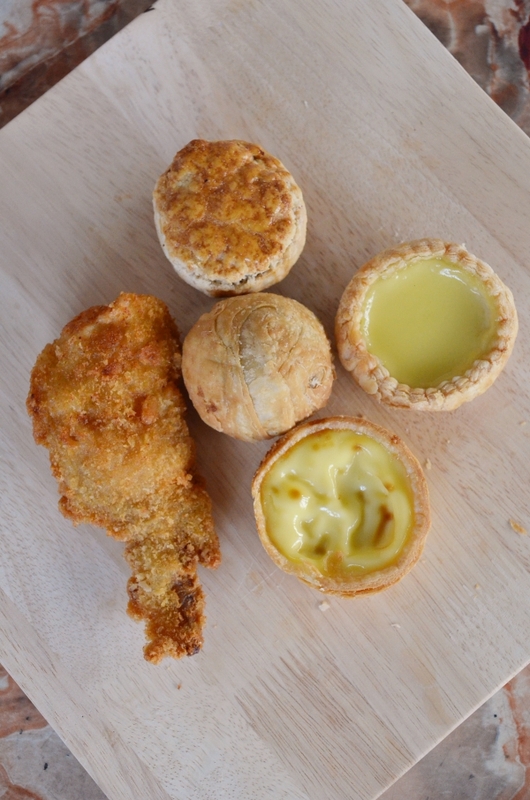 Then ‘tapau’ (take away) some of these back home for your afternoon tea pleasure. 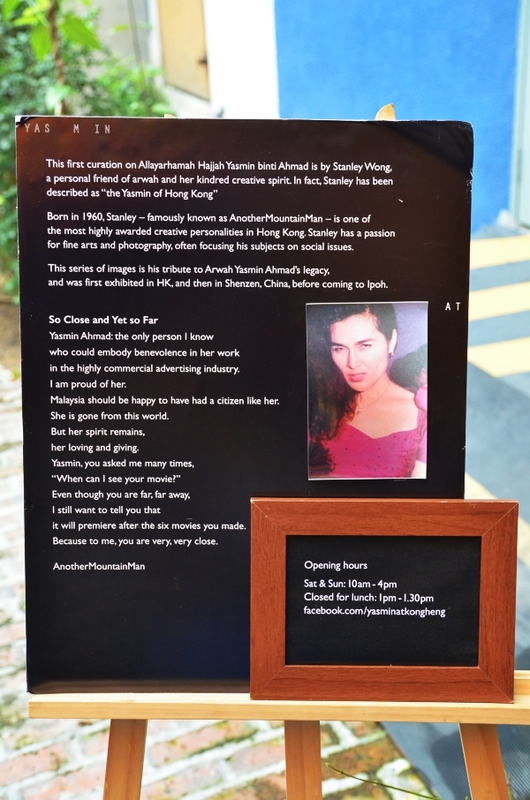 Do you know that there is one Yasmin @ Kong Heng Museum at the alley behind of Thean Chun? Look for the signs and you shall be treated to stories chaptering the life and death of the late Yasmin Ahmad; one visionary and creative lady behind the amazing movies like Sepet and Mukhsin, and the unforgettable Petronas festive ads. She passed away on 25 July 2009, exactly 6 years ago. Entry to this museum is FOC. I end my writings today with well-wishes and absolute positive notes, optimistic that the outlook for our country should be fantastic in the coming years and achieving Vision 2020 together. There is already enough sufferings, injustice and turbulence on the other side of the world. We don’t need anymore drama, heist, empty promises, conspiracies and racial tension between us here. I was touched by various gestures; one of an Indian taxi driver last week that kept me motivated and awake despite the early hours in the morning to KLIA. And a bunch of jovial Malay staff at Maybank; the Seapark branch a day before Hari Raya. Simple everyday activities that we tend to neglect and ignore of these amazing bonds we built over the years, just because we get caught in the never-ending spiral of political war-games, fuelled by flames of envy and lure of power/money. Happy Friday dear readers. The next chapter story should be my first in Hong Kong. The chicken wings are the absolute best! 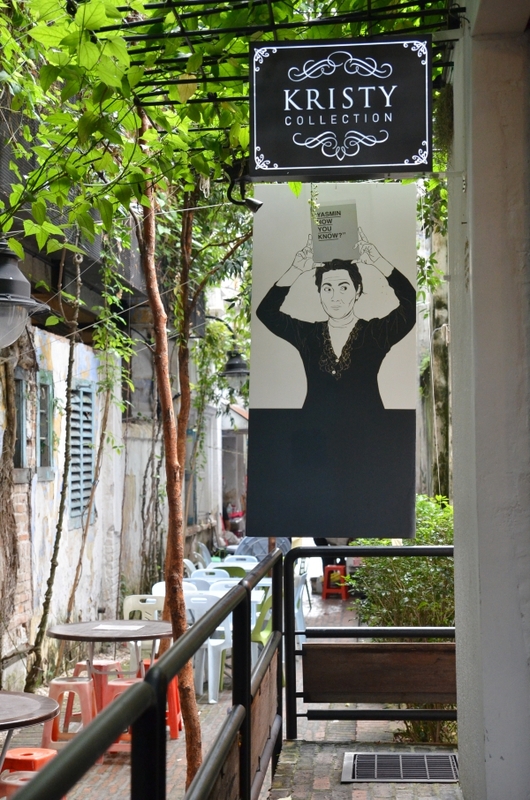 Have a safe trip to Canto food heaven! 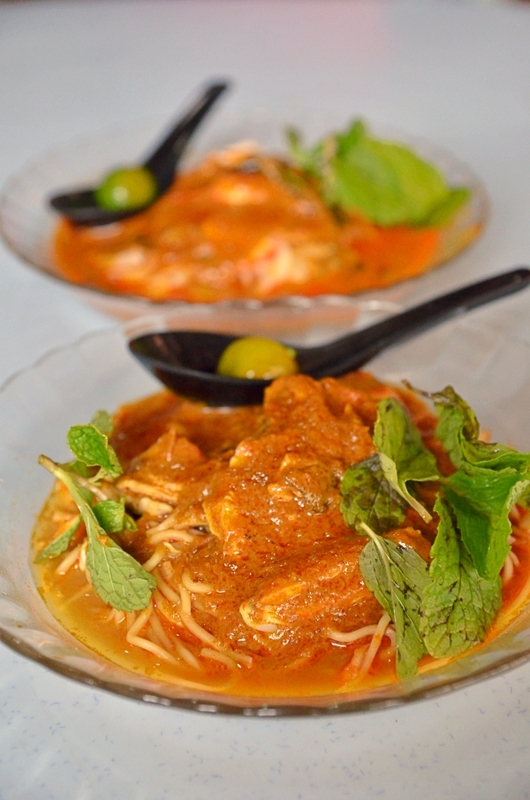 We will make sure Ipoh food stays delicious until your return! Love the walk through with the pics. 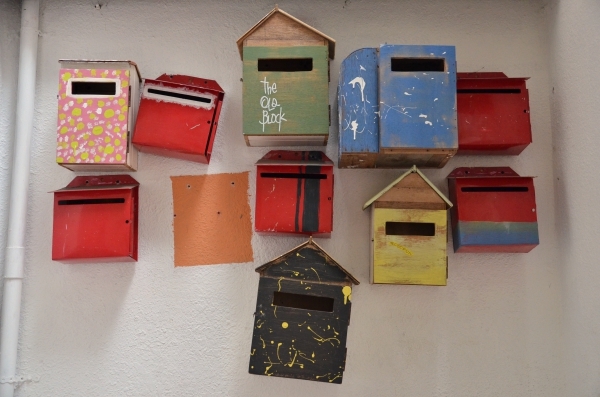 This reminds me to dig out my stash of the pics I snapped and not written about them or shared them anywhere.